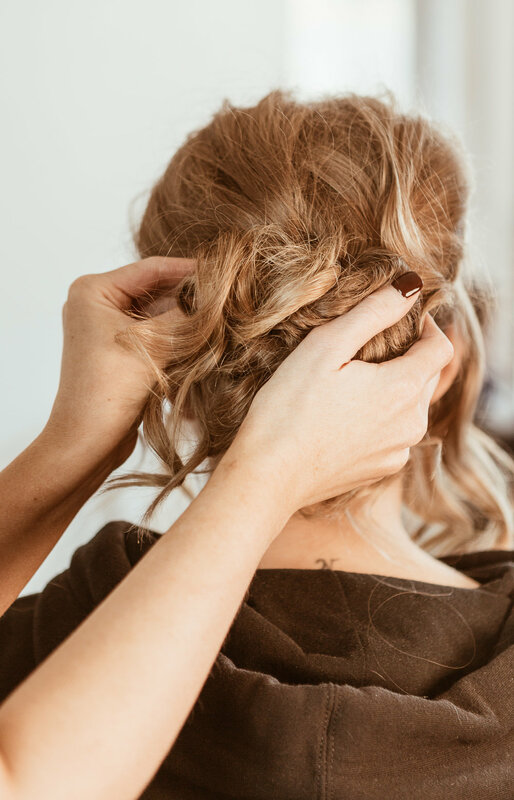 I find myself particularly lucky to have a number of very talented friends, two of these friends are Gemma Gers (Photographer) and Caitie Hibberd (Hairdresser & Stylist). We recently came together to basically throw together a heap of ideas from our own fields that we have been wanting try out. We all managed to put aside one day to dedicate to our little collab, we were lucky to recruit two stunning girls (Emma Perry & Shae McQuillan) to model and play test subjects on the day. At about 9am on a Sunday we all crammed into a small shop space - come makeshift studio with coffees in hand, a mountain of ideas and no idea where to begin. After some quick discussion we laid out a plan for the day, originally we hoped to take the shoot to nearby Silverton to get some outdoor elements involved, however after seeing the stunning images Gemma was producing indoors, we opted to spend the majority of the day shooting inside. 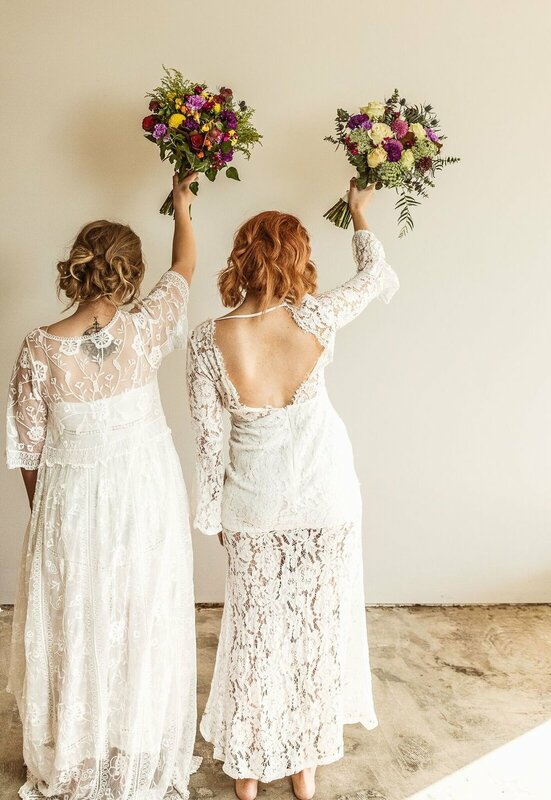 Caitie created two very different looks for both our girls which meant we were able to get a variety of shots that showcased her Hair Styling, Gem's photography and our Little Bloom bouquets. 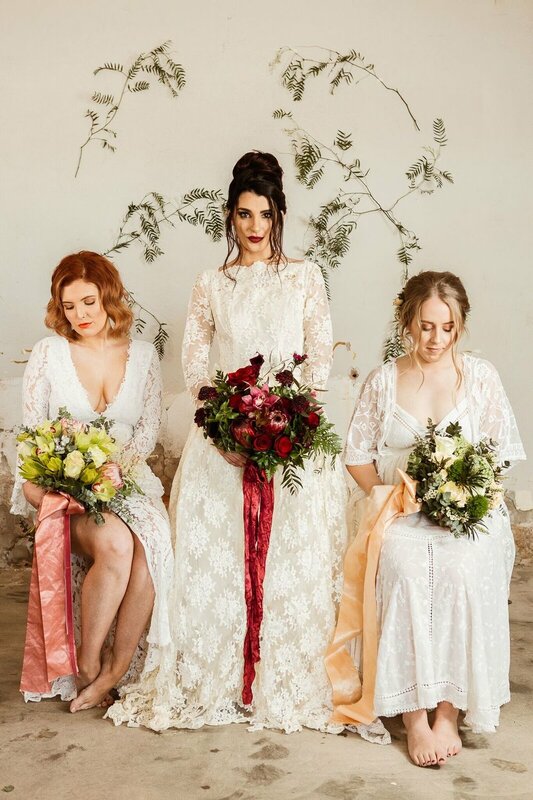 For the styling of the shoot we pulled together a number of different items, my favourites were the three vintage gowns and Little Blooms collection of vintage brass and copper vessels (all available for hire). 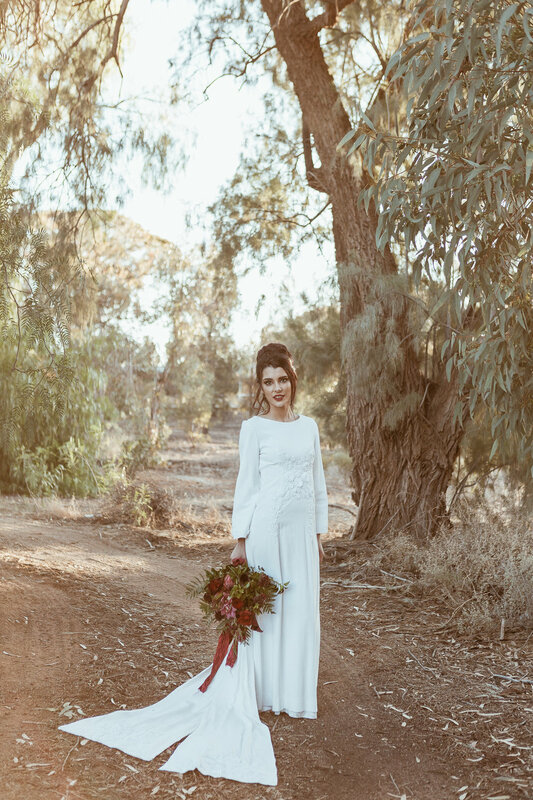 The result of a long day of shooting and styling can be seen in these stunning images - be sure to jump onto your socials and follow these girls Gemma @gembehindthelens and Caitie @tonichairspa for more glimpses of what we captured on the day.